I have a question for you: Is there a place in the world where chicken sandwiches are unknown? If you know of such a place, please raise your hand. I have been traveling all my life, and I don´t know any yet. As far as my experience goes, they seem to be everywhere. I assume the reason for this is that they are the simplest comfort food anyone can make, and the ingredients can be found everywhere around the globe. The beauty of it, however, is that every country adds its own flavors and culinary characteristics, so the simple chicken sandwich becomes new and unexpected across the planet. I love that. The one I’m used to, -the one present in every kid’s birthday party, and every school lunchbox in Lima– is one of the easiest, most delicious, and comforting recipes I know, and it’s great to make at home with kids. 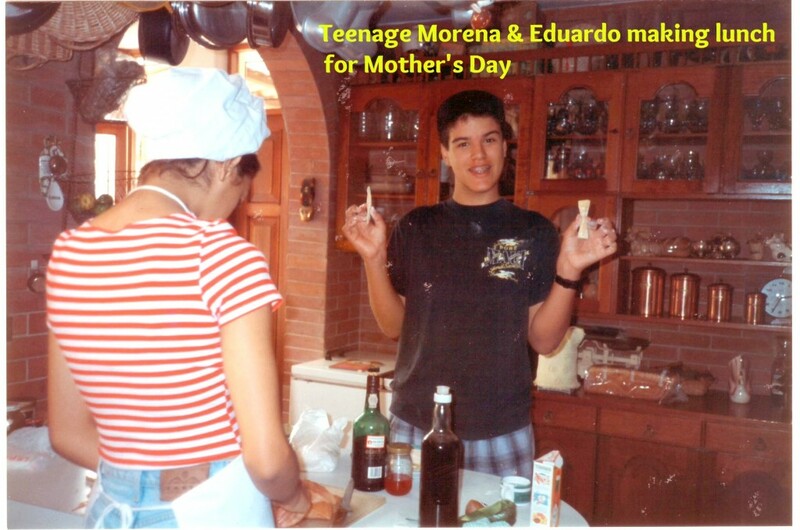 As you know, I´m an advocate for children learning their way in the kitchen, (and I don´t mean to grab a frozen dinner and put it in the microwave!). 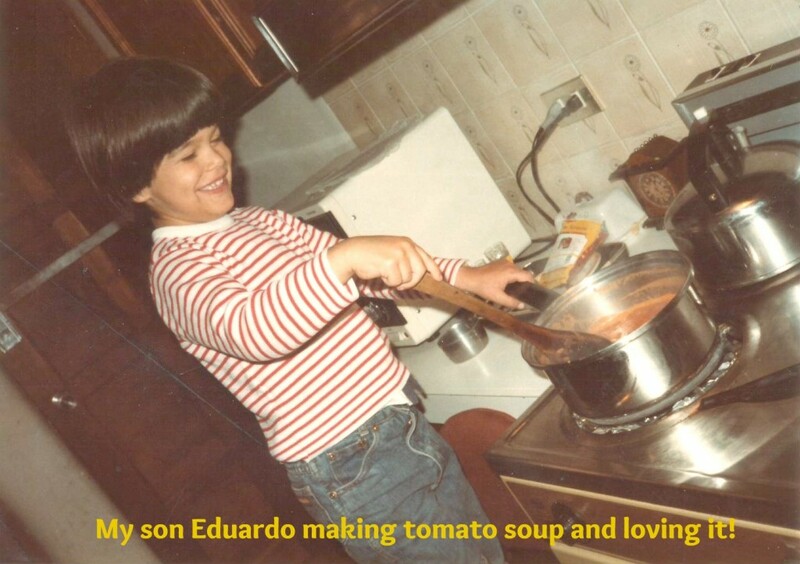 I´m talking about real cooking, and nothing is easier to learn and help them take those first baby steps in the kitchen, than to make an easy and rewarding sandwich. In the preparation of a chicken sandwich, children will learn how to make a chicken salad as well. One recipe, two dishes… A great starting point! If they are of a certain age, you can teach them how to cook the chicken, but for the little ones, have the chicken already cooked and cooled. You can boil, grill, broil, or bake the chicken. You can even buy the roasted chicken, or our Peruvian pollo a la brasa, from the grocery store and use the leftovers to make sandwiches. 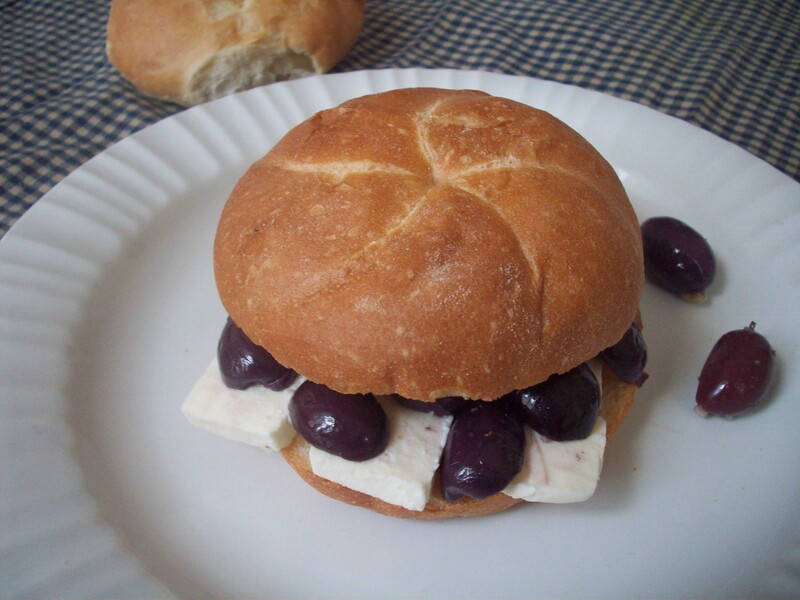 Then you will have different flavors and every sandwich will taste like a new dish. In Lima we celebrate every kid´s birthday with an array of different mini sandwiches. The chicken ones are never missing on these large tables covered in food, and they are always made in small, round, soft rolls, that we call petipanes (or petit pains, in French). They are two-bite sandwiches (one bite for some people), but feel free to buy bigger rolls more suited for lunch or a light dinner. This recipe is very simple, so every kid can follow the steps and learn the basics. When they have more experience, let them be creative adding a new ingredient they like: avocado, tomato slices, cheese, almonds, pineapple, chopped green apples, sliced grapes, grated carrots, etc. (Celery is the added veggie of choice in Peru.) If your kids are picky with food, like mine were, use only white meat, but many people out there love the dark meat because it is moist and juicy, so it depends on your (and your kids’) taste. My experience is that it’s always easier to get kids to eat things they usually wouldn’t if they take part in the preparation. Cooking their own food gives them a sense of pride and ownership of the dish, and they enjoy it more, and look at it with warmer eyes. And now to the GIVEAWAY! We are very excited about this one. A few weeks ago a reader wrote to us to tell us about her wonderful project, and we were immediately drawn to it and thought we HAD to share it with all of you! Carmen Moncada has created a line of t-shirts called NUDGE, celebrate + inspire, with lots of cute designs, all celebrating childrens’ accomplishments, building their self-confidence, and inspiring them to take on more responsibility. The idea for this came from her own childhood full of “nudges,” such as baking chocolate cakes for her father’s restaurant, and helping out at the cash register, which she says helped her develop an incredible sense of self-sufficiency, and a feeling that she could do anything she put her mind into. 2. Follow Nudge on facebook or twitter. 3. Leave us a message here saying that you’ve done #1 & #2. Open to US Residents only. The 3 winners will be announced on Monday, April 30th, and will be contacted to choose the design, size and color of their choice. 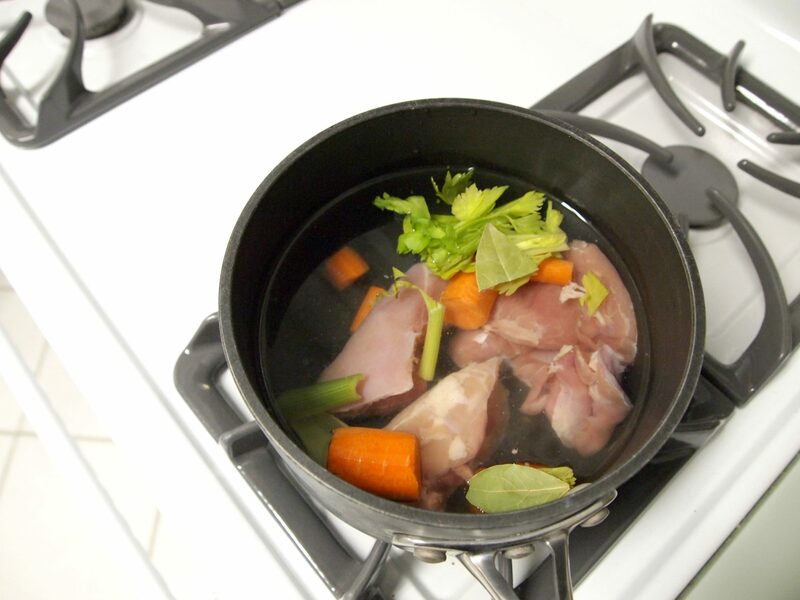 Cook the chicken with 1 sliced carrot, 1 celery stick and 1 bay leaf, salt and pepper. Cool and dice the meat or shred it finely. 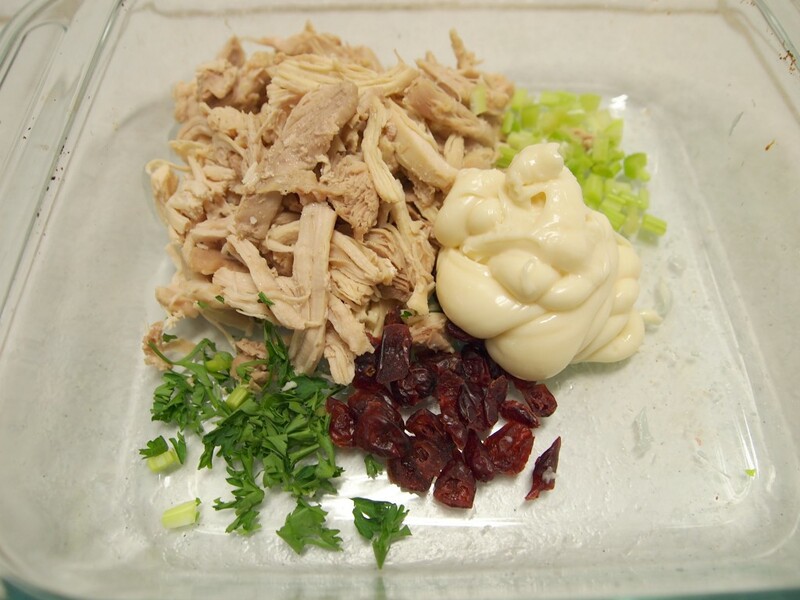 In a bowl, combine the chicken, chopped celery, raisins or dried cranberries, mayonnaise, parsley, salt, and pepper, until creamy. You may add some toasted and chopped pecans. 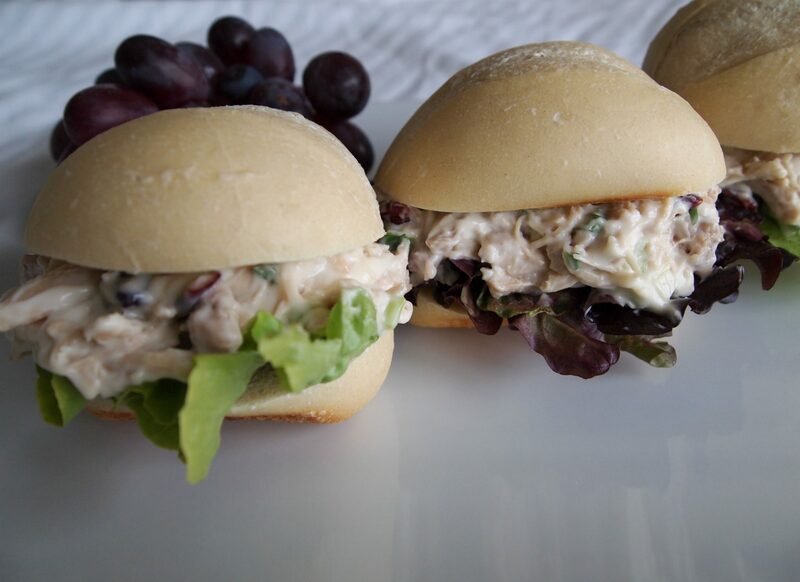 Cut each mini roll in half, horizontally, put a lettuce leaf on the bottom side of the bread, and cover with the chicken salad. Serve with a green salad or some grapes. I love the recipe… though I would switch out the chicken for the veggie version. I did entry #1 and #2 – I follow via Twitter. wow?? pineapple to a peruvian chicken sandwich?? curious about its taste. Glad to know they were in the kitchen early on! That’s the best way to teach them. Yup. Everything is easier when you learn it as a kid! I love this post, the recipe, the photos and the giveaway! Just came across your website and I am loving it. 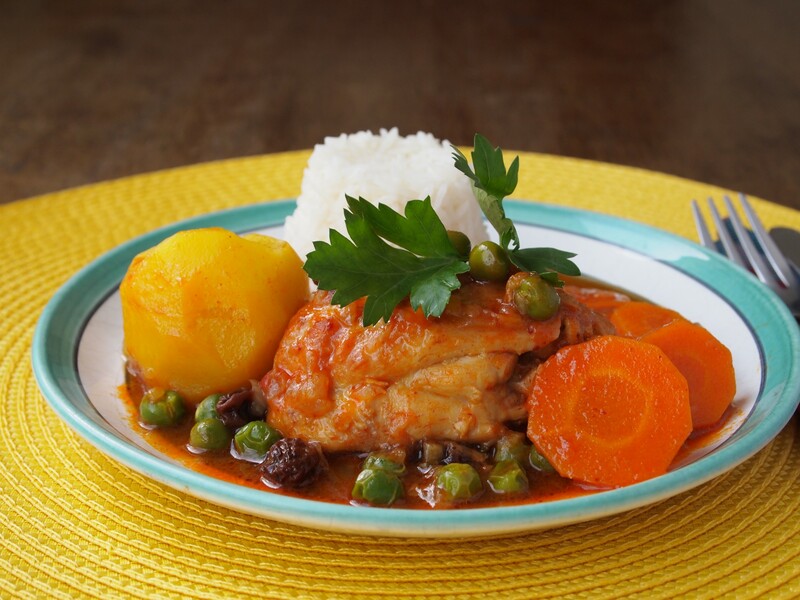 I am also peruvian and would love to try more recipes besides my usual which are papa a la huancaina, lomo saltado and arroz con pollo. Done #1 and #2. Thank you Stephany! We hope you keep visiting us! I follow you on fb and twitter…great giveaway! Great chicken sandwich recipe and I love the photos! Great recipe! And I love the old school photos!